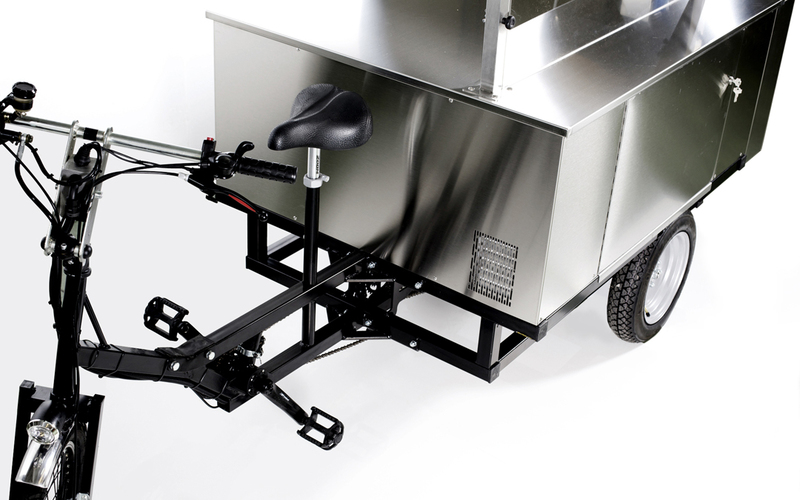 The workstation bike for cafè and pubs. Ecological, practical and scenic. The electric bicycle allows you to reach every area of the city and create a corner of goodness. 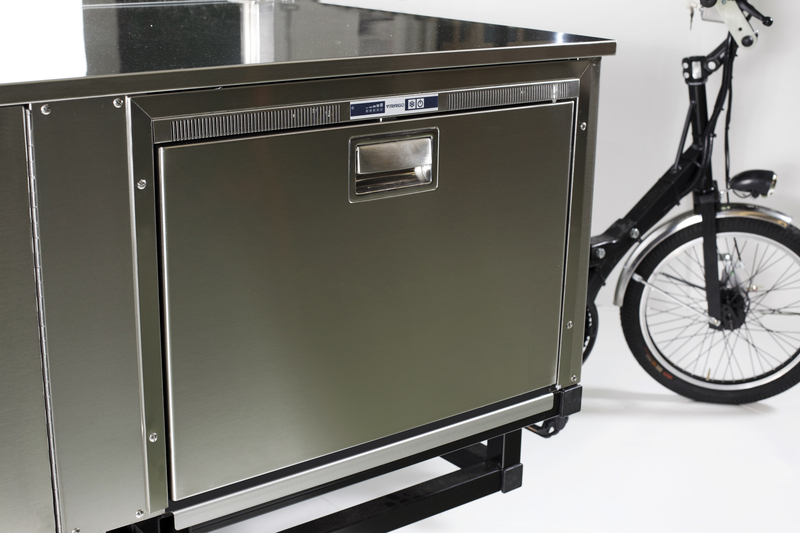 The steel structure allows the Street Food E-Bike to support useful professional equipment, a drawer fridge and a handy sink in total balance. The electric motor is essential for helping you to carry the whole equipment with minimal effort. 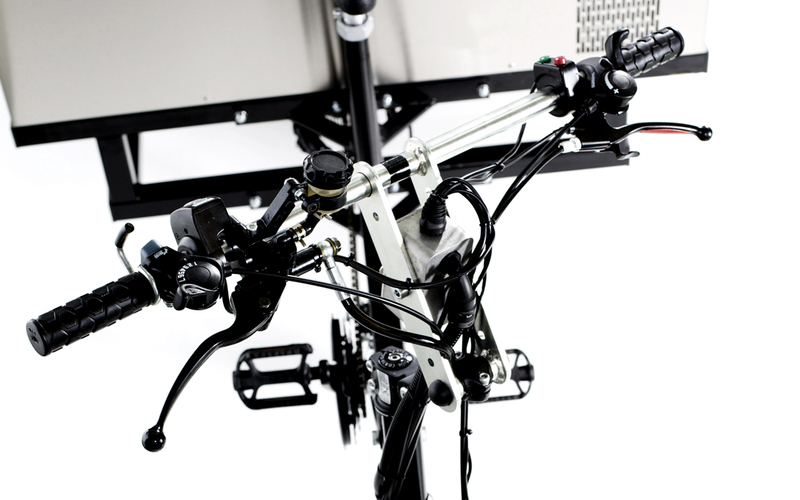 Adjustable handlebar and seat.